Comprising 500 units, Summer Place, would be priced from RM250,000 upwards per unit. Built-up space range from 990sq ft to 1,440sq ft.
PENANG: IJM Properties Sdn Bhd is launching the RM140mil Summer Place condominium project at the Bandar Seri Pinang mixed-development scheme, off the Jelutong Expressway, in the third quarter. Managing director Teh Kean Ming said Summer Place, comprising 500 units, would be priced from RM250,000 onwards, depending on the built-up areas, which range from 990 sq ft to 1,440 sq ft.
“The key attraction is the 6km sea-front promenade we are constructing in front of the Summer Place. “We have spent RM9mil so far to construct the first two km,” Teh told StarBiz. “Our plan is to develop 28 landed commercial properties designed to accommodate food and beverage business along the promenade at the end of this year,” he said. He pointed out that the Summer Place would also have comprehensive clubhouse facilities. The latest project by IJM at Bandar Seri Pinang was The Spring project, which enjoyed brisk sales during its launch in May. “The Spring, comprising 396 condominium units, was 75% sold during the first day (of launch). The key attraction is the 6km sea-front promenade. “It was about 80% completed when we launched it, which explains the overwhelming response it received, as the purchasers get to save substantially on interests for loans,” he added. According to Teh, the RM190mil Nautilus Bay project, launched in March, consisting of 78 three-storey terrace houses, is IJM’s first project in Penang to employ the build-then-sell concept. The 20-storey block with 196 units come with three types of three-bedroom designs. Prices range from RM219,888 to RM292,888 or an average of RM240 psf. KUALA LUMPUR: Zalam Corp Sdn Bhd will develop more affordable high-rise condominiums in prime locations here, chairman Tan Sri Wong See Wah said. The company was constantly looking for prime land to build affordable condominiums, and in areas where there were lots of amenities. 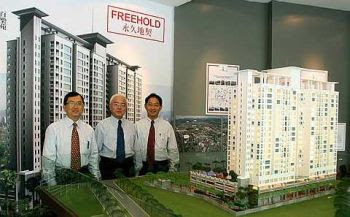 From left: Zalam Corporation executive director Dr Kor Fook Heng, chairman Tan Sri Wong See Wah and managing director Ho Lee Beng with a model of the Alam Puri condominium project in Jalan Ipoh. “We are very particular that the land must be prime and our project must have trendy designs with high-quality finishes and yet affordable,” he told StarBiz. Wong said an example was its latest project, the freehold Alam Puri condominium, located in the fast-growing Jalan Ipoh area. The project, with a gross development value of about RM50mil, has achieved over 70% sales within a month of its soft launch. The official launch is on May 19. 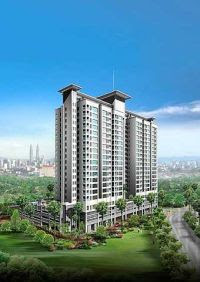 “As at May 6, we have sold 142 of the 196 units, leaving only 24 bumiputra and 30 non-bumiputra units. 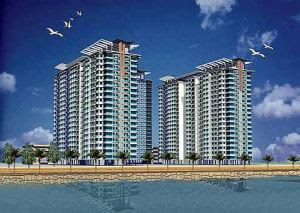 Many of our buyers are from the Jalan Ipoh area,” he said, adding that piling works on the project had been completed. The 20-storey block with 196 units will have 347 parking bays, with most buyers getting a free bay while those at the higher level will get two bays each. There are three types of three-bedroom designs, and they are priced at RM219,888 to RM292,888, or an average of RM240 psf. Facilities include a swimming pool, gymnasium, cafetaria and meeting room with broadband Internet access. Wong said Alam Puri would have a three-tier electronic card access security system, with 24-hour guard patrols on every floor, and plenty of CCTV cameras, including inside the lift, lift lobby and car parks. Managing director Ho Lee Beng said the pricing was still affordable despite the expensive finishes normally seen in high-end properties and the 25% increase in building costs over the last one year. “We are able to do this because we are also the contractor and we can manage our costs well. If not, the selling price could be more than RM300,000,” he said. Ho said most of the company’s projects were completed ahead of schedule. “Our Laman Midah project in Cheras was completed a year ahead of schedule. Completed two years ago, the residents still want us to manage the property for them,” he said, adding that Alam Puri, targeted for completion at end-2009, would also be completed a year ahead of schedule. The RM3 billion PNB Structured Investment Fund, launched yesterday to invest in structured products and a property trust that owns Permodalan Nasional Bhd (PNB) buildings, may generate returns of more than six to seven per cent a year, its manager said. "Our funds in the past have been giving six to seven per cent annual returns. We are confident we can do better (with this new fund)," PNB president and group chief executive Tan Sri Hamad Kama Piah Che Othman told Business Times after the launch in Kuala Lumpur. The closed-end fund plans to distribute income annually, subject to the discretion of the manager, the company said in a statement. The principal investment is protected when held to the five-year maturity. Speaking at the launch, Hamad Kama Piah said the new product was conceptualised after considering the current needs of discerning investors. Principal preservation, capital appreciation and yearly dividends remain their priority during this time of market volatility, he said. Up to 80 per cent of the fund will be invested in structured products issued by Deutsche Bank Malaysia, which may include bonds, stocks, equity-linked and hybrid products. The fund will also put up to half of its money in PNB REIT (real estate investment trust), which owns seven properties in Kuala Lumpur and Johor Baru worth about RM1 billion in total. The commercial buildings - Menara PNB, PNB Darby Park, PNB Damansara, Menara Tun Ismail, Wisma KPMG, Menara and Plaza Pelangi, and Pelangi Leisure Mall - are owned by PNB and 93 per cent occupied on average. "PNB is 'giving away' its prime properties, at a cost of course, to be incorporated into the REIT as an added security to investors," Hamad Kama Piah said. The REIT is currently private, but there are plans to float it on Bursa Malaysia's main board towards the end of the five-year tenure of the PNB Structured Investment Fund. The structured investment fund is open to individual and institutional investors at a net asset value of RM1 during the offer period, which will last for 45 days until June 25, or upon full subscription of the units. Minimum investment starts at 10,000 units for individuals and 50,000 units for institutions. Minimum additional investment for individuals is 1,000 units and for institutions 5,000 units during the offer period. There is no limit to the amount an investor can put in. There will be 3,500 hot spots for wireless Internet access in Kuala Lumpur by the end of 2009, Federal Territory Minister Datuk Seri Zulhasnan Rafique said yesterday. This will be made possible under the Wireless@KL project, a RM60 million project to be funded by the government and a private company. Internet access will be free for two years from the day the user registers. From then on, users must pay for the service. The minister said this to reporters after the launch of the project in Kuala Lumpur yesterday. This year, it promises 1,500 Internet access points around the city. The project is part of the Klang Valley broadband push initiative by the Malaysian Communications and Multimedia Commission (MCMC) to spur demand for broadband among city dwellers. MCMC and Kuala Lumpur City Hall will provide RM5 million each for the project while the remaining RM50 million will be funded by Packet One Networks (M) Sdn Bhd, a subsidiary of Green Packet Bhd. The first phase of the project will see the creation of 1,500 Wi-Fi zones at commercial centres, offices, City Hall public homes, City Hall community centres and other public areas. Special attention will be given to business areas around the Kuala Lumpur City Centre Golden Triangle where World Congress IT 2008 will take place on May 18, said Zulhasnan. The portal www.kul.com.my was also launched yesterday where it will serve as a one-stop source of information for the latest on all things related to Kuala Lumpur. Also present at the launch yesterday were Kuala Lumpur mayor Datuk Ab Hakim Borhan and Packet One chief executive officer Michael Lai. On another issue, Zulhasnan said the draft of the Kuala Lumpur Structure Plan 2020 which seeks to further develop the capital will be exhibited for six weeks beginning Thursday for public scrutiny. To manage your control systems, the Mini Controller comes in an ultra sleek design. Whenever there is a need to secure access points to your property, offices or homes, EntryPass offers a complete integrated access control system solution. The user-friendly system mainly targets corporate users and residential areas like gated communities and condominiums. The EntryPass range of products provides access control for doors, car park barriers, turnstiles, elevators and can also be used to monitor time attendance, an alarm monitoring system and also as a guard tour solution. Special requirements can be met as the software behind the system is customised for the individual user. * Email And SMS Notification — The system will automatically notify pre-defined users via email and SMS when the alarm is triggered. * Client-Server Based Control Management System — EntryPass Platform software allows multiple users to access the system. * Time Attendance Report — Value added features in providing users with basic time attendance report. * Integration With A Biometrics Reader — Biometrics readers such as fingerprint and vein scanners can be easily integrated with the system thus providing added security features. * HID —This renowned brand is a leading industry standard in providing solutions for the delivery of secure identity, serving customers worldwide with proximity and contactless smart card technologies, IP-based network access solutions; secure and custom card solutions, photo ID and ID card application control software, high definition printer/encoders and secure card issuance solutions. * Nedap — Nedap provides secure automatic identification of people, drivers and vehicles. Nedap’s long range identification solution (up to 10m) covers both driver-based and vehicle-based identification, thereby offering higher security. * i-Key — i-Key provides long range (up to 25m) handheld remote access to gate barriers and doors with the simplicity to control access to any facility. EntryPass is able to provide you peace of mind by ensuring that security will be your first priority. SHARE prices of major steel millers jumped yesterday after the government abolished ceiling prices for steel bars and waived import duties. On the stock exchange, Penang-based Southern Steel Bhd jumped 14 sen to RM3.20, its highest level since November 1997. Lion Industries Corp Bhd leapt 18 sen to RM2.70 while Kinsteel Bhd added four sen to RM1.59. Ann Joo Resources Bhd rose six sen to RM3.88. OSK Investment Bank analyst Ng Sem Guan has an "ultra bullish" view on Malaysia's steel bar and billet sector. Malaysia Steel Works (KL) Bhd managing director Tai Hean Leng said billet and steel bar prices are now 35 per cent higher. He said billets are now being sold at RM2,900 per tonne. Steel bars ranging from 16mm to 32mm are priced between RM3,219 and RM3,078 per tonne. Last week, when government-controlled ceiling prices were still intact, billets were sold at RM1,928. Steel bars were priced between RM2,419 and RM2,278 per tonne. Contractors had complained that steel products were sold above the ceiling prices. They bid for projects by basing the cost of steel at the ceiling price. However, steel producers said that they kept to the ceiling prices but the extra charges were for other costs like transportation and handling fees. This created an artificial shortage where steel was available but contractors could not afford them. Since many could not afford the higher price, government projects were delayed. To prevent further delays, the government liberalised the market and set up Mavtrac Sdn Bhd to bulk-buy building materials for government jobs. "There's unlikely to be any supply shortage now as contractors will be able to price in the real price of steel bars when tendering for government jobs," said Mavtrac Sdn Bhd chief executive officer Mohd Azman Sulaiman. "Mavtrac is helping local contractors, especially small ones, secure supplies of building materials at fair pricing," he told Business Times in Kuala Lumpur yesterday. The site is earmarked for a mixed-development project. 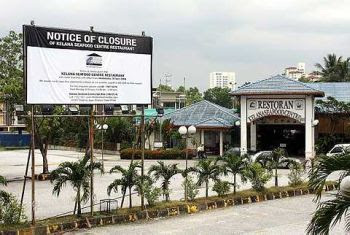 The Kelana Jaya Seafood Centre, a prominent landmark in Petaling Jaya, has closed its doors. The restaurant published a notice in the newspapers announcing its closure on April 30. A similar notice is plastered on a big signboard at its premises, which can be seen from the LDP. The restaurant had been in operation for about 18 years and was a popular joint for halal seafood. Former Subang Jaya assemblyman Datuk Lee Hwa Beng said he used to dine often in the restaurant. “It is halal so I would go there when I needed to have meals with my Muslim acquaintances,” he said. The proposed plan is an extension of the existing Plaza Kelana Jaya development that would comprise shops, offices, apartments and a mall. 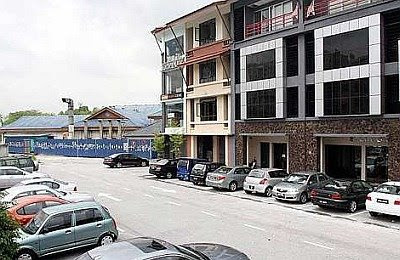 According to the Glomac corporate communications department, the land on which the Kelana Seafood Centre is located was sold by the PKNS to Glomac Segar Sdn Bhd on April 1, while Glomac Bhd acquired Glomac Segar on April 30. Glomac has stated in the website that the land would be used for its future development. The proposed plan is an extension of the existing Plaza Kelana Jaya development that would comprise shop-offices, office suits, serviced apartments and a shopping mall. The project is scheduled to be launched next year. The SS7 area near the Kelana Jaya Lake has seen a mushrooming of high-rise residential dwellings and commercial centres over the years. Residents in the area said they had to put up with bad traffic jams, haphazard parking and flash floods due to the development. The residents had voiced their displeasure over the apparent over-development in the area during a recent meeting with Seri Setia assemblyman Nik Nazmi Nik Ahmad.